Create a limit for the size of your panels. 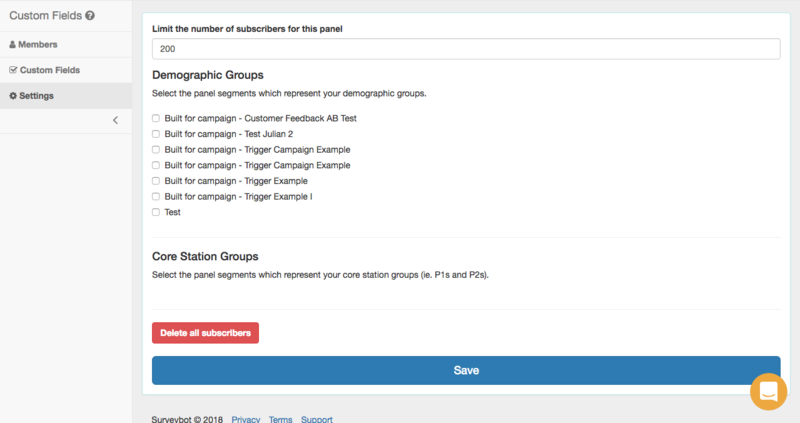 Setting a limit on the size of a panel can help keep your subscribers to a manageable level so you can keep on top of your survey responses. You can do this by going into the specific panel you want to limit in the 'Panels' tab, and then selecting 'Settings' in the side bar. A screen will come up that looks something like the image below, and you can enter the amount of subscribers that you want to limit your panel to in the top field. It's that easy! Check out the video below to walk yourself through the process.